Nails have come a long way baby and they have become the simplest way to make a bold statement. The creativity that goes into nail art is absolute genius. Nail specialists are coming up with hip, fun looks that inspire the rest of us to take a stab at nail art. Here are my latest top three favorite nail looks that I find to be works of art. 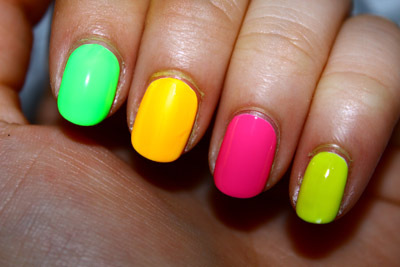 Neon Nails: This summer, neon was big when it came to clothes and shoes (check out this article about neon shoes) so it's no wonder that it trickled its way onto nails. Great for gals who want color in their lives. 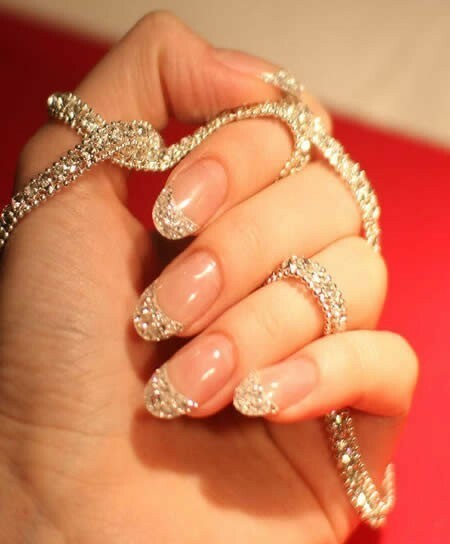 Diamond Nails: Bling is back, but it's coming back with class. Simple, refined gems are the way to go. They always said diamonds are a girl's best friend (thanks Marilyn). Spiked Nails: Fall is just around the corner and spiked nails are the way to usher it in. The look is rocker chic and it's for all those who attitude. Which style are you loving?